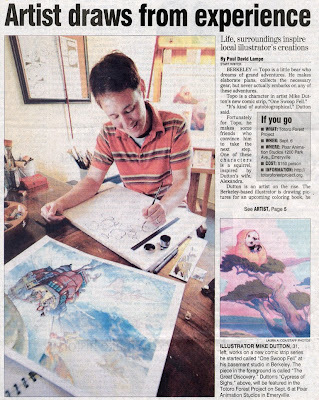 DuttonArt - Drawr-ings, Ramblings, and Pick-Me-Ups: Me in the Oakland Tribune! I was recently interviewed by a reporter for a profile story in the Oakland Tribune. That story came out today and I'm very happy to say the reporter did a great job... I say this partially out of relief that he left out some of the more embarrassing things I must've said. But I also appreciate the effort he made in his own research, such as reading up on N.C. Wyeth, who I mentioned at one point as being one of my heroes. I also mentioned the Totoro Forest Project which he then followed up on. Thanks Paul! 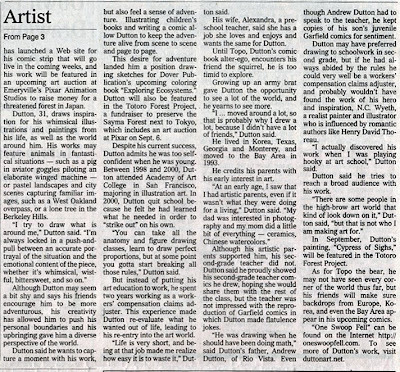 And here's the paper edition... which is the same aside from the photograph. Click on the images to read the text. I'm very lucky to have a wife who is supportive, yet keeps me grounded at the same time. 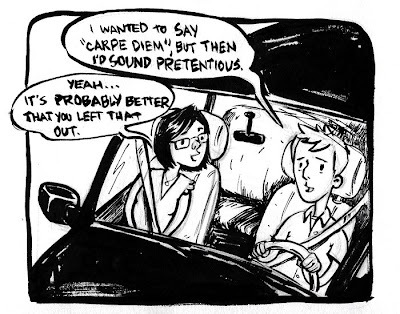 The comic itself hasn't launched yet, but now you know where to look when it does. Enjoy! Awesome Mike! Way to go!!! I loved the article and makes me want to absorb your future work. Your playful art inspires me, and I've got several in my inspiration folder. Congratulations!